Check the dlc3: the power steering ecu uses can (iso11898-1) and iso9141-2 for communication protocol. 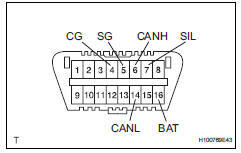 The terminal arrangement of the dlc3 complies with sae j1962 and matches the iso9141-2 format. 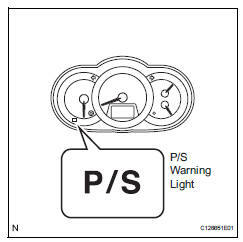 When a problem occurs in the electronic power steering system, the p/s warning light on the combination meter comes on to inform the driver of the problem.